This just in from Mpendulo Ngcakani at our INMED South Africa office: a beautiful, bumper crop of tomatoes. 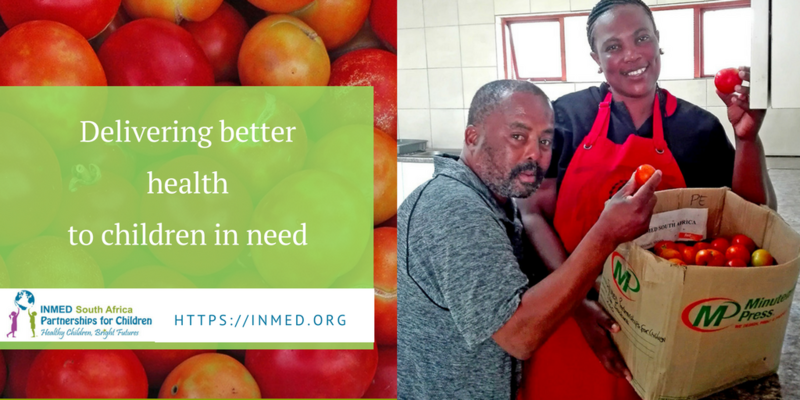 INMED harvested 13.8 kg of this ruby red fruit (some would argue vegetable) from our commercial aquaponics system at Nelson Mandela Metropolitan University. Installed last fall in partnership with the Mondelēz International Foundation, the system has been providing regular harvests of fresh produce and fish for primary schools in disadvantaged communities of Port Elizabeth for more than a year. This harvest was delivered to the Ithemba Day Care for special needs children. The school’s cafeteria manager and gardener were very pleased with the quality and quantity of the crop, which they promptly incorporated into the school’s meals. 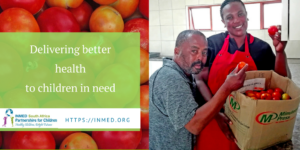 INMED Aquaponics is creating food security, better health and economic opportunities in vulnerable communities around the world.